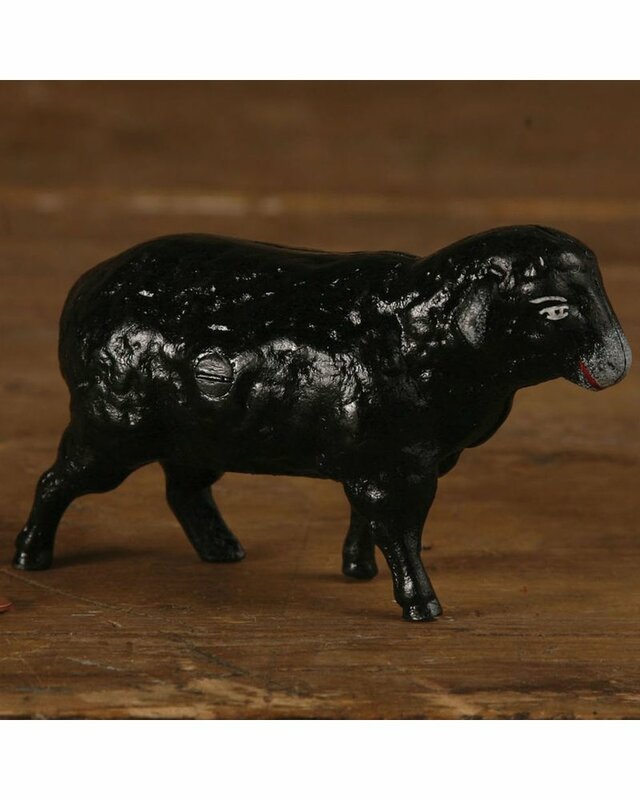 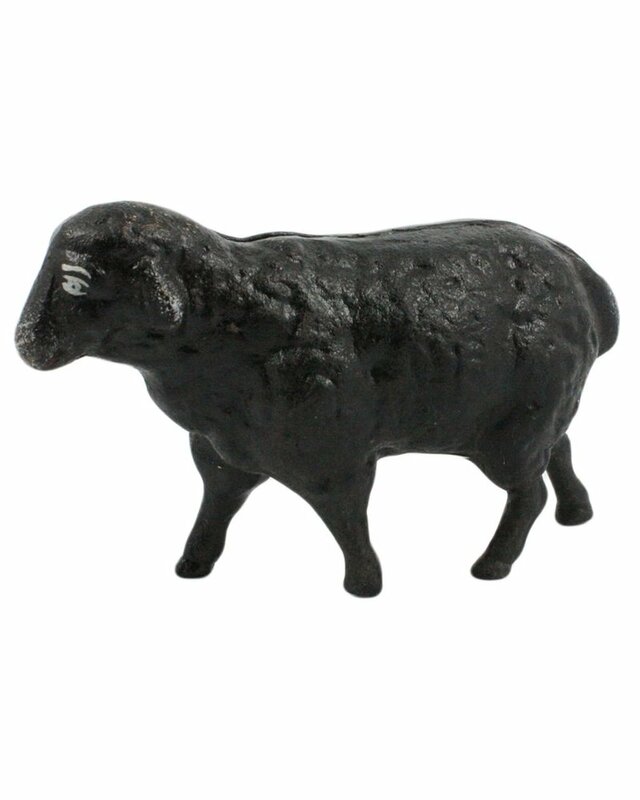 Start your own farmyard collection with a flock of whimsical cast iron sheep. 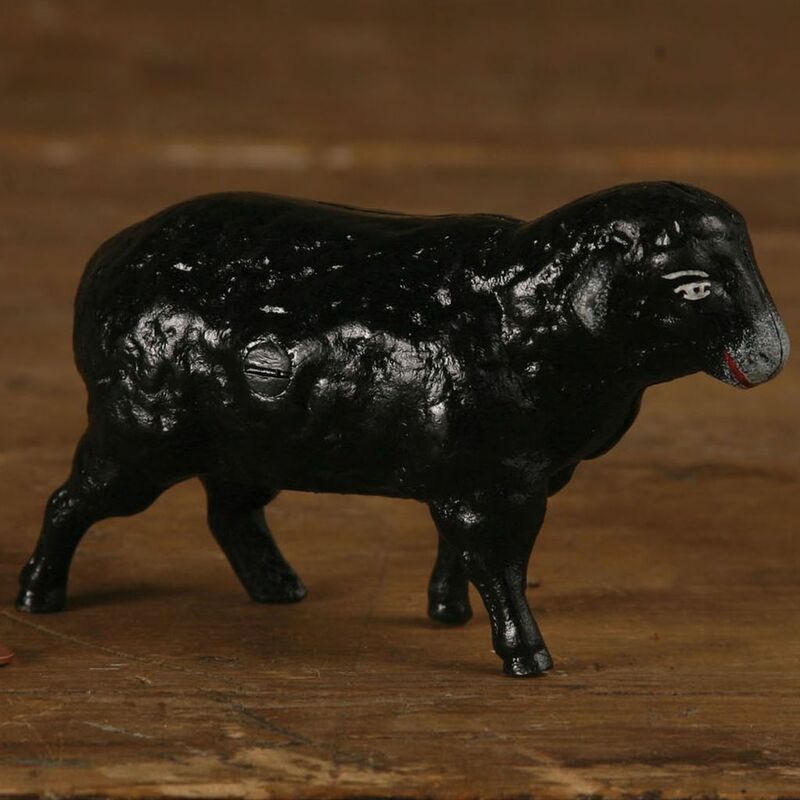 May we suggest a group of five sitting on a tabletop or shelf, four white and one black for tongue-in-cheek style. 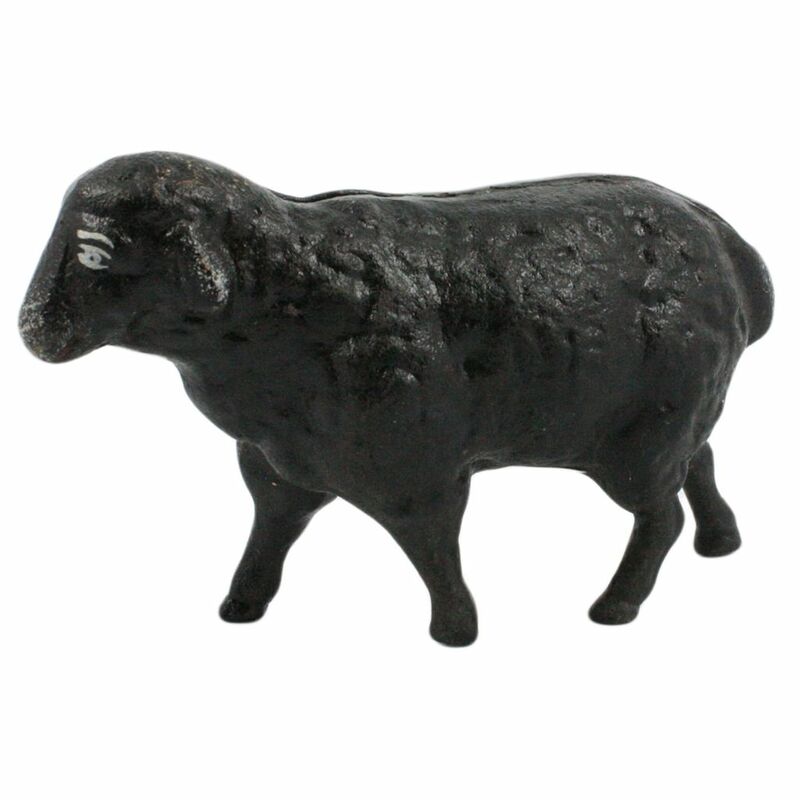 Available in white or black with vintage-look finish.